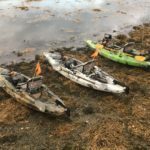 New Hampshire's only full-time kayak fishing guide service. 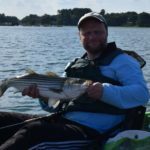 Fish for striped bass, largemouth and smallmouth bass, and black crappie. We accept online payments with a credit card. Upon confirming your trip and dates you will receive an emailed invoice that will allow you to make your payment online with a credit card. Trips canceled by clients are non-refundable. Our guests will enjoy the comfort, stability, and ease of our Old Town Predator PDL (pedal driven) kayaks. Guests who would rather paddle than pedal are welcome to paddle these kayaks as well, just let us know when you book. Our private one-on-one trips are four-hours long, including paddle time. We set saltwater trip locations based on pre-fishing results. We do our best to ensure that we launch and land as mud-free as possible, but some launches have large areas of exposed mud near low tide and it can't always be avoided. Be prepared to possibly get a bit muddy, but we’ll do our best to prevent it. 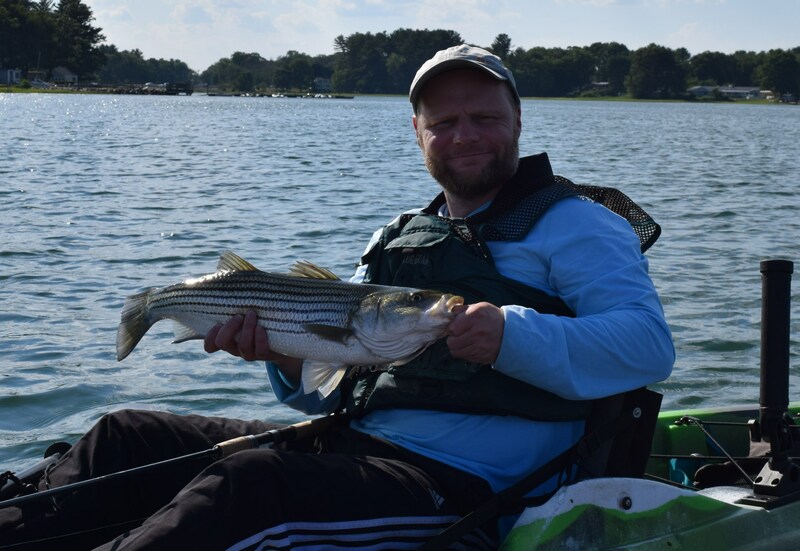 Remember, during striped bass trips you are fishing tidal areas with current. It will take a bit of effort to paddle (or pedal) against currents if the fish dictate it, but few clients have ever found it too difficult. We never put our clients in danger and we do our best to make it as easy as possible, but you may have to work for the fish you catch. You will be given the launch location and we will have everything ready to go when the trip begins. If there is any instruction needed it will be done at the beginning of the trip. 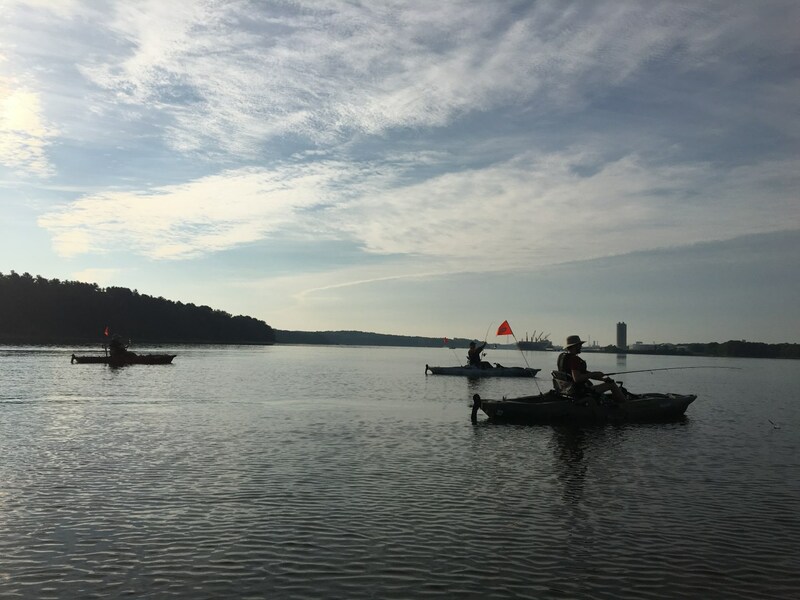 Paddle (pedal) time is usually anywhere from five to fifteen minutes, but can be as long as 30 minutes if the fish or weather dictate it. NOTE: You may get your feet wet getting in or out of your kayak. Normally, we can put you in your kayak and shove you off, but sometimes the terrain doesn't allow it. Please be prepared to walk in the water (below your knees) if necessary. 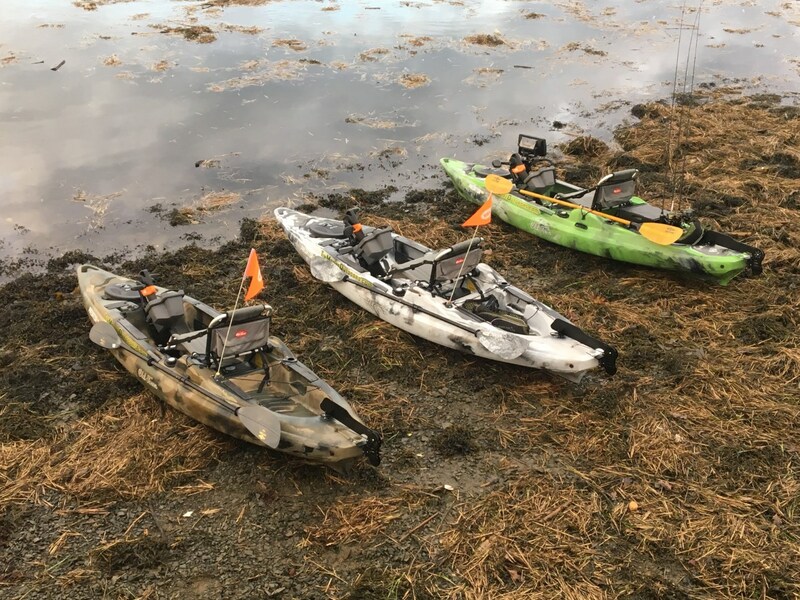 Our kayaks are extremely stable and self-bailing. In the event that you did take a wave over the bow, the water will drain out on its own. 3) Review our rates and payment policies found above. Water shoes make entering and exiting your kayak in the water easier. Snacks and drinks. We provide bottled water. 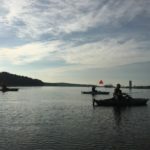 A New Hampshire (freshwater or saltwater) fishing license is required by law and not included in your trip.